4to, 14 pp. In original brown printed wraps. Clear and complete. Good, on aged paper, with one central vertical fold, and horizontal mark to blank rear wrap. 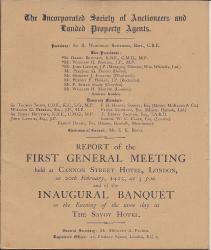 The description of the 'First General Meeting' covers the first three pages, with the report of the 'Inaugural Banquet' on the next four. On the last seven pages are the 'Report of Council (Presented by Mr. E. K. House.)' No copy at the British Library or on COPAC. The mimeographed circular (4to, 1 p), dated 9 March 1925, is a covering letter with a facsimile of Fluder's signature. 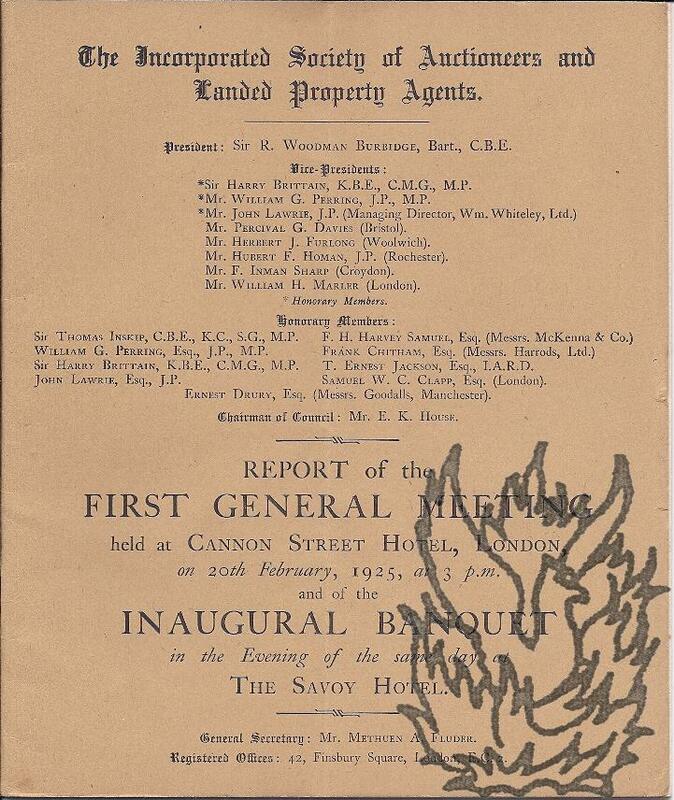 The letters, 30 November, 3 and 7 December 1931; the first on the letterhead of the Audit Bureau of Circulations Ltd, and the last two on the letterhead of the Incorporated Society of British Advertisers Ltd. Founder and first editor of The British Advertiser (1873-1957). The collection in very good condition, with rust marks from a paperclip to one item. All items quarto. All items signed 'Alfred H. Angus'. The first letter invites 'The Managing Editor' of the Society's Journal to become a member of the A.B. of C. 'It is felt that your co-operation would be of the utmost value to the Bureau in the achievent of its objectives.' Letter three states that the I.S.B.A. executive have 'unanimously elected' W. D. H. McCullough as their representative to the R.S.A. committee.